The value of an antique stove depends upon the age of the stove, whether or not it is in working condition and the rarity of the model. 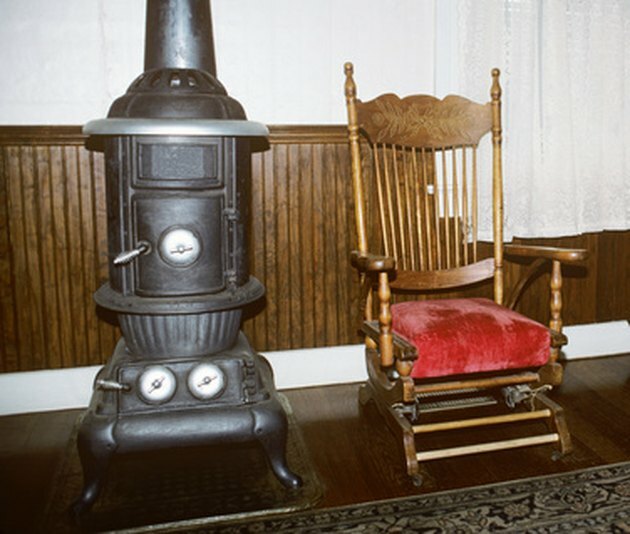 Stove appraisal is available online or by mail for the owner who wishes to learn more about the history and/or value of the stove in his possession. Also available is a website dedicated to buying, selling or obtaining parts for old stoves. The value of antique stoves differ according to age, rarity and condition. Later cookstoves like this model probably began with the 10-plate stove circa 1760. Before the advent of stoves, cooking was done over an open fireplace which also served as the sole source of heat in a one-room cabin. By 1728, cast iron stoves began to replace the smokey, open fire and were manufactured in quantity. Stoves appeared in kitchens for cooking and in parlors and sleeping areas to provide heat. The earliest cast iron stoves were called five-plate or jamb stoves and were of German design. The 1740s brought six-plate close stoves and Benjamin Franklin's "Pennsylvania Fireplace." By 1760, 10-plate stoves with an oven and two hinged doors appeared in what was probably the first true cook stove. During the second half of the 19th century, cook stoves and ranges were common and few houses were built with fireplaces. The step-top cookstove, a two tiered model, was introduced in the 1820s. This increased the area that cooks could use for pots. Nineteenth-century models, called box stoves, were lighter and more finely cast versions of the 18th-century six-plate stove. 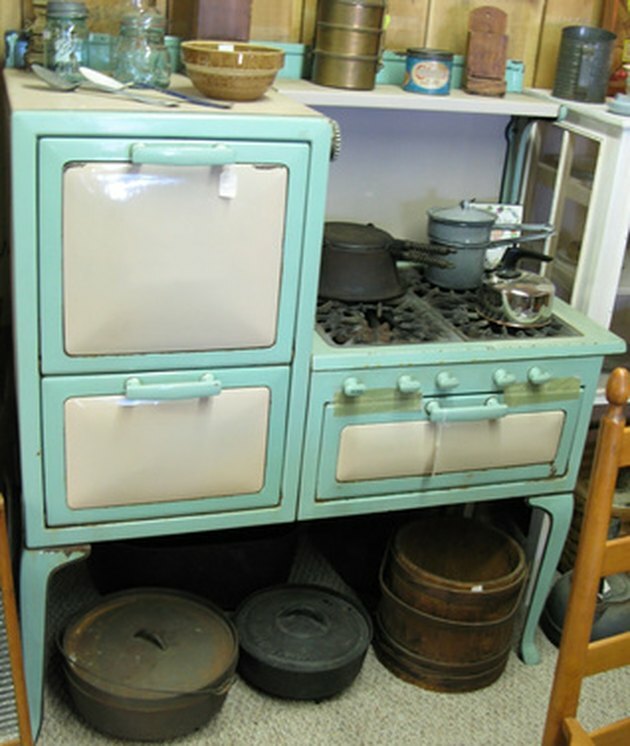 Cook stoves of the early 20th century were bigger than earlier stoves and had added features. Warming drawers and water reservoirs were added above or beside the fire box and stoves became ornately decorative. Ceramic surfaces added color to the kitchen and fancy handles and drawer pulls completed the newer, more modern look. How Much Is An Antique Stove Worth? A professional appraisal of an antique stove, whatever era it may be from, is available online at the Antique Stoves site (see References) for a nominal fee. You can send an uploaded picture electronically and get an appraisal by e-mail usually within two to three days. For traditional mail, the process costs slightly more and a written appraisal by return mail takes three to four weeks. An early 10-plate stove could cost a buyer around $3,950. For a non-working model, an 1853 working parlor stove would cost the same, while a vintage 1932 enamel cookstove would cost approximately $2,500. If you are buying or selling an antique stove or if you need parts to refurbish your stove, visit the Stove List site (see References), which is dedicated solely to antique stoves. This site offers both classified advertisement listings as well as auction listing services. Large volume users can pay for listings by subscription, and the occasional use customer can pay on a per-listing basis. Using the appraisal process or browsing existing on-line listings can determine the approximate current value of an antique stove.